According to their countdown clock, the 8th Annual Organizer’s Conference will be taking place in downtown Chicago in ten days, three hours and 43 minutes (whoops! make that 42 minutes). While the innocuous title is likely to have been chosen in the hope that the group won’t get thrown out of their venue before this gig begins on September 12, the Annual Organizer’s Conference promises to be THE place where the boycott, divestment and sanctions (BDS) “movement” targeting Israel will coordinate their activity for the year. Scuttlebutt on campuses seems to indicate that BDS will be the chosen tactic for the “Israel is wrong about everything, always” crowd this academic year. In some ways, this is a pain (who wants to fight the same battles over and over again, after all). At the same time, it’s nice that Israel’s foes have chosen to revisit the only thing I know of that is more unpopular among the American public than Israel’s political rivals: the tactics of boycott, divestment and sanction. 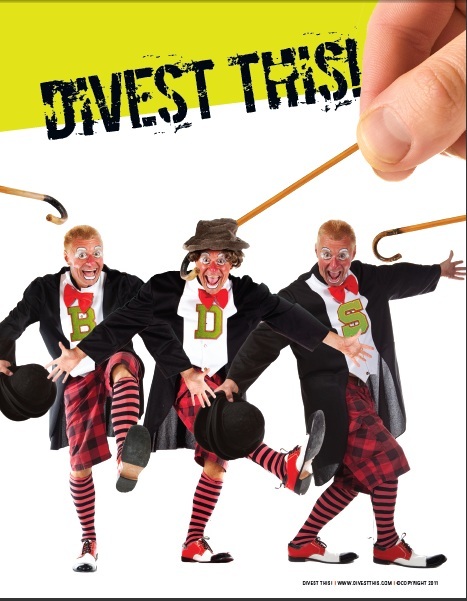 Given how little the divest-niks have to show for themselves after eight years of trying to hijack respected institutions, the noise level at this year’s conference is sure to be high-decibel and shrill. After all, colleges and universities have already given divestment the heave-ho, and last year’s Hampshire hoax is not likely to endear the “movement” to college administrators. The closest the BDS crew got to success in cities and towns was five years ago in Somerville, MA, after which municipal leaders pretty much had their number. Despite boasts of union support, the US labor movement continues to rival Evangelical Christians in their devotion to the Jewish state. And speaking of Christians, the final holdouts among Mainline Churches calling for Israel divestment have spent the last two weeks reversing those positions by overwhelming majorities. So where does that leave BDS in ’09? I could continue to make fun of their feeble attempts to turn normal business transactions (i.e., Motorola) or corporate presidents telling them to screw themselves (i.e., Caterpillar) into “victories,” but that misses a larger point that today BDS mostly represents a way for anti-Israel activists to create cohesion among themselves, a human-to-human “social network” of individuals blinded by their own self-righteous fury, impervious to any truths that contradict a vision of the world that is endlessly re-enforced by spending time only with the like-minded. Of course, the last several years have taught us that the BDS crew does have one skill: the ability to turn even shallow victories (such as the Presbyterian Church’s two-year flirtation with divestment) into media-driven “momentum” that can require months or years agita to turn around. Still, while it’s always hard to pull an apathetic public into any political project, it’s particularly difficult when that project has proven to be as big a loser as divestment. Anyway, it’s now ten days, three hours and twenty-eight minutes until those who know better than the rest of us gather in Chicago. If anyone is interested in attending and sending me back material I can broadcast, I’ll be happy to pick up the $35 entrance fee.